See that guy finish seemingly 6 seconds ahead of me? Do you think his shorts are too short? Via the technological wonder of Anti-USATF wormhole timing technology called chip time, I beat Chris Mihalik by 13 seconds. You can’t see them but Mikki and Katja are up across the finish line ahead of me by 16 and 11 seconds respectively, panting like horses after the Derby. Beat them too by 1 and 12 seconds respectively. Although after cyber sifting through the big race results data, I think the other girl I ran with is Dina Griffin, rather than Mikki, based on their halfway times. If so, Dina finished strong to outpace me by 3 seconds. 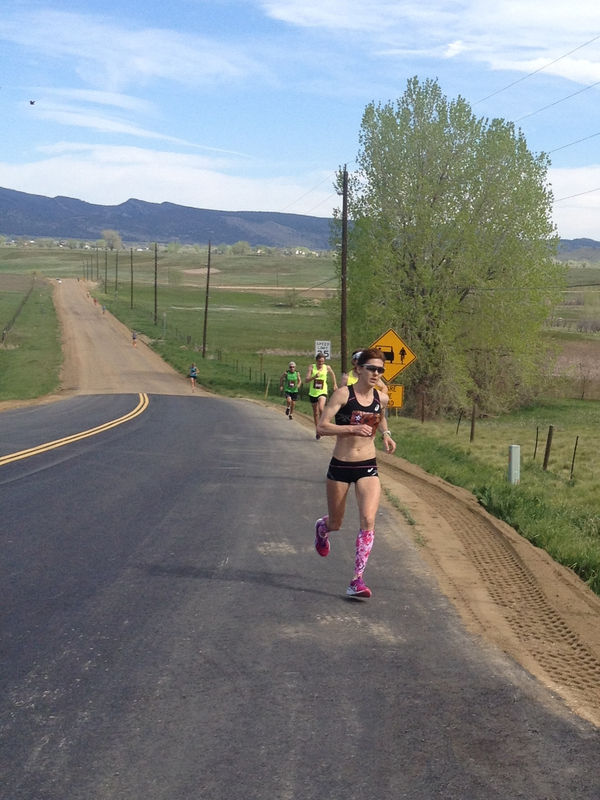 The girls were out getting Ellie’s hair cut in Boulder, so I squeezed in an 8 miler for my first day of training for the Bolder Boulder on Thursday. And per plan, I recorded the run with my Garmin. I’m not going to bother linking to it, but the results are on my Garmin site. I left the timer running about 7 minutes after I stopped running so disregard that pace on the last segment if you review it. I did a 3 mile jaunt in my minimalist shoes Wednesday but that was a post Boulder Half recovery run in terms of loosening up. Whenever I run that short, I take the opportunity to run in my minimalist flats. Today was my first run based on my 7 minute BB training plan. I went for distance because I had the time and could. I felt good starting out and felt like I was going to run fast but slowed down after the first mile, mostly running a 9 minute pace. Not an impressive start to my 7 minute pace plans but the distance was good. One thing I did was concentrate on my foot work. Whenever I did, I noticed my speed pick up. What I mean by this is I would purposely block out all thoughts to focus on how I carried and landed my feet. I concentrated on keeping my toes pointed downward and landing mid foot. I could only do it for a few minutes at a time before my thoughts would drift to work or something else, but it was a good exercise. I’m starting this 2 month training plan feet first and will move to fartleks when I have more energy. I hope to be able to run fartleks at least once a week. Maybe twice but I also want to have runs where I start out slow the first two miles and then gracefully speed up to my half marathon race pace. I plan to run with my neighbors on the Mesa Trail Saturday. That will focus on distance – likely over 10 miles. Can’t ignore distance. 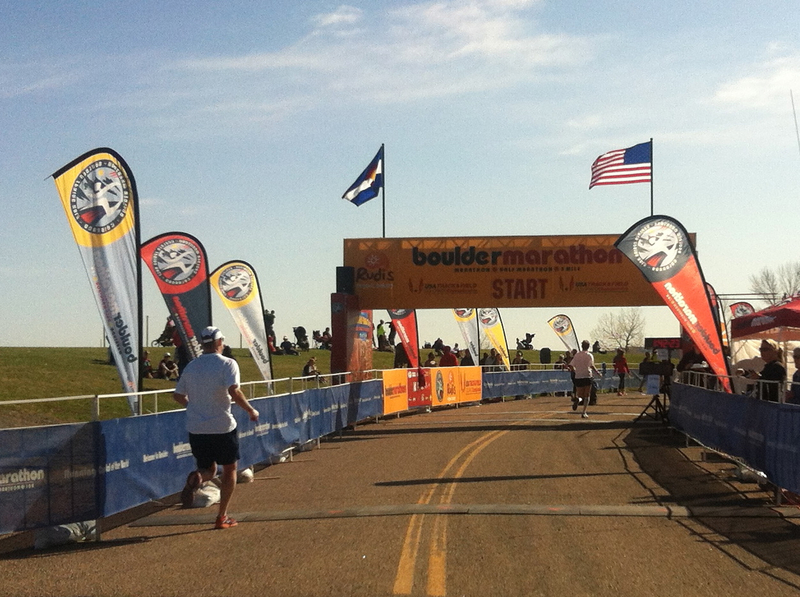 A week after the Bolder Boulder, I have a marathon in Steamboat.